it was pleasant to arrive at Audi Camp, near Maun. our tent had a river view through the trees. this one includes the external shower at the near end of the tent. 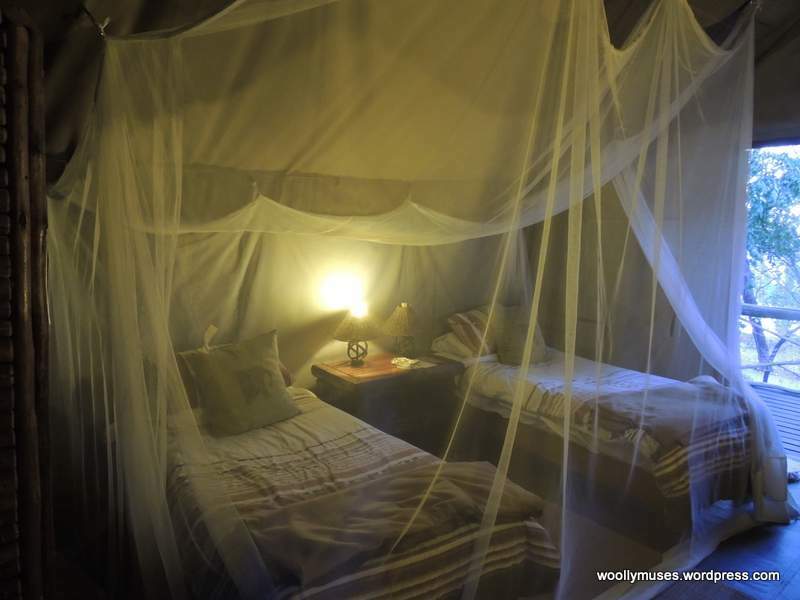 Comfortable beds, mosquito nets and electric lights. the next six night in two person tents. 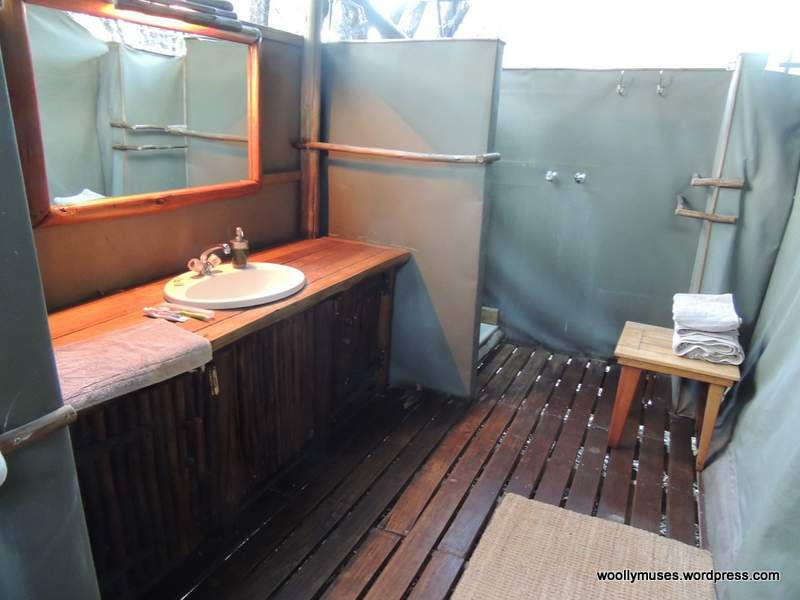 Finally, I mention the external view of the outdoor shower…this is the interior. As you can see the walls end rather abruptly and it was rather chilly. But after no facilities at all at Lekhubu, this was five-star accommodation. to anyone heading in the Maun area. This entry was posted in Africa, Botswana, Photography, Postaday, PostaWeek, Travel, Travel Theme, Wildlife and tagged Audi Camp, Digital photography, nikon d90, Okavango Delta, postaday, Travel, Travel Theme. Bookmark the permalink. We have decided that it is our kind of camping also. 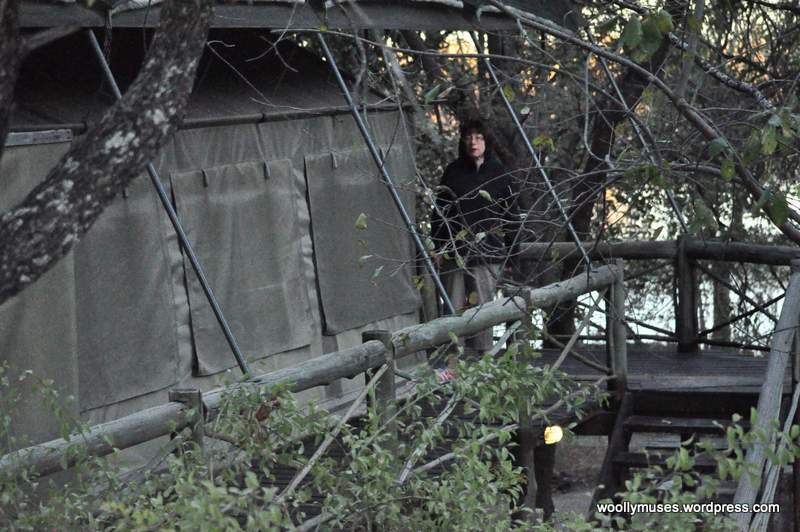 Audi Camp and Chobe Safari Lodge were the only places that were not described as “rustic”. 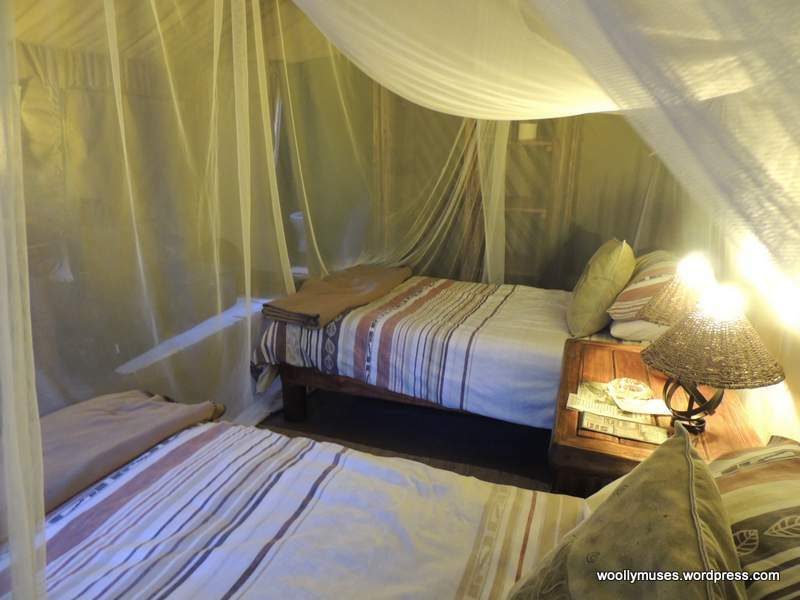 Although we would not have seen Wild Dogs hunting Khubu, or hyena and elephants wander around the camp had we not been in two person tents around a camp fire…and those sightings were worth any discomfort of camping. You make a really good point – thanks for the reminder. Sometimes you have to step up to the edge of what makes you uncomfortable to really experience the remarkable. 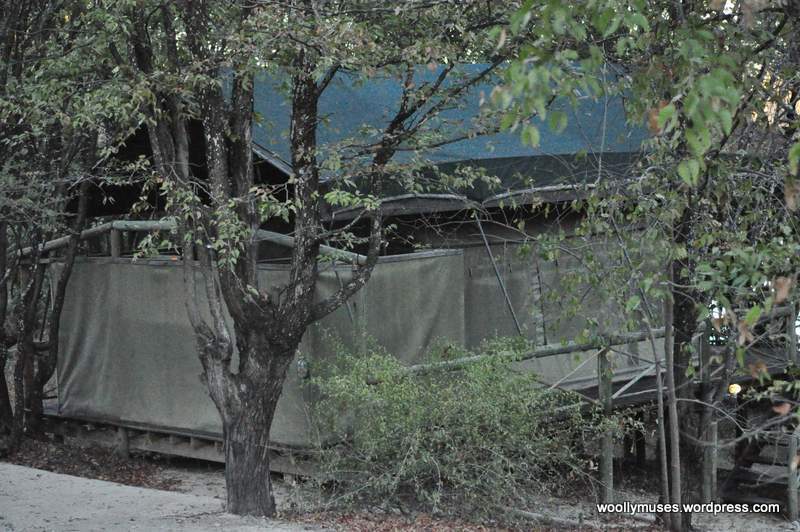 Great shots but that tented bedroom area is the best! 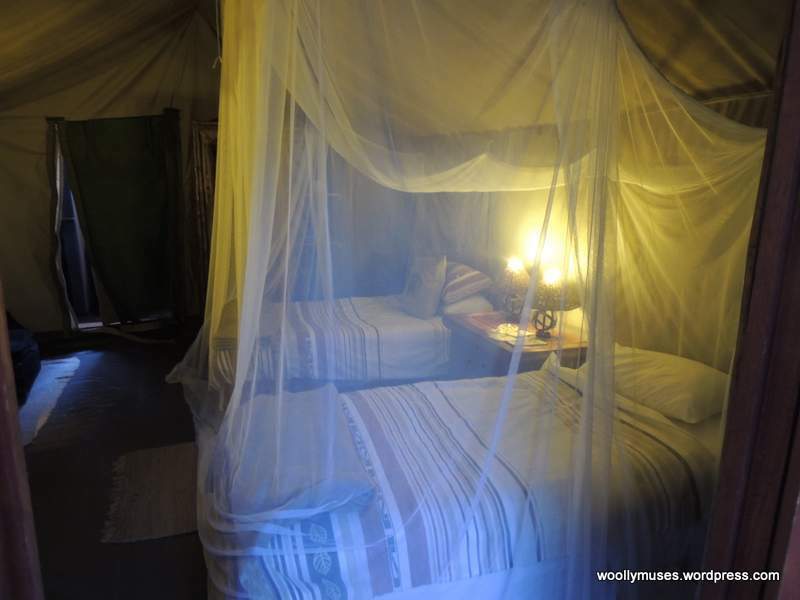 Bedroom was great ….but so was shower and bathroom facilities.